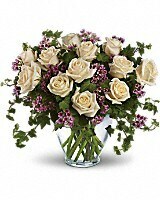 Romance blossoms beautifully within this elegant bouquet. 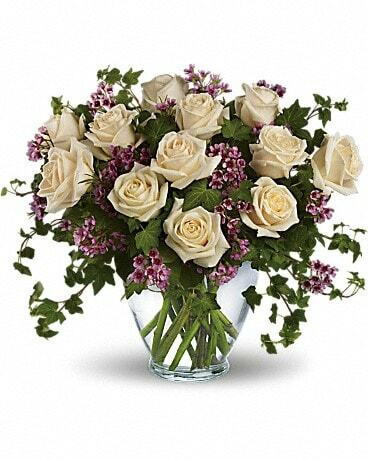 The serenity and innocence of cream-colored roses is in delightful juxtaposition with lavender waxflower and fresh ivy greens. It's as romantic as a stroll through the English countryside. 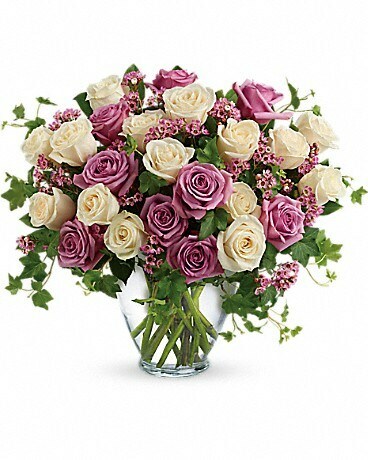 Romance blossoms beautifully within this elegant bouquet. 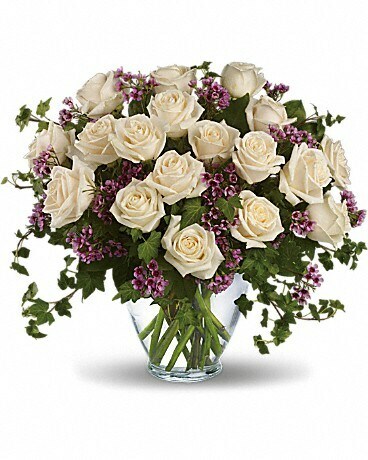 The serenity and innocence of cream-colored roses is in delightful juxtaposition with lavender roses and waxflower accented with fresh ivy greens. It's as romantic as a stroll through the English countryside.